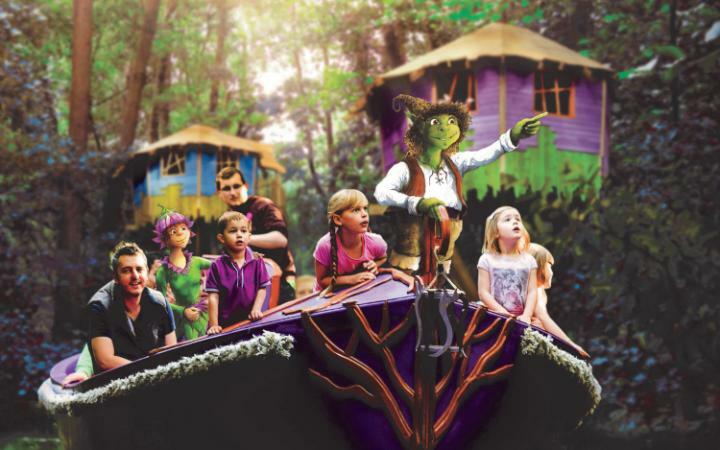 Check out ‘Swampy’s Silly Summer Parade’ at BeWILDerwood this summer! 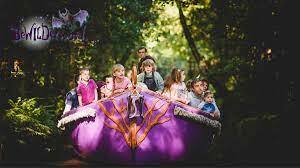 If you haven’t heard of the BeWILDerwood then we know you’re going to absolutely love it! The BeWILDerwood is basically a huge wood with absolutely loads to see and do for all the family from boat rides to slides and more! The whole wood is based on the books by Tom Blofeld which feature Twiggles and Boggles like Hazel the Wood Witch, Swampy, Vera the Hippopotamuddle, Mildred the Crocklebog and loads more. Everyday this summer you can join in ‘Swampy’s Silly Summer Parade’.If you make enough noise you might be lucky enough to get Mildred to venture out of her ‘Scaaaary’ lake and join her swooshing and swishing through the woods! As well as the the parade there will be loads of amazing games and activities going on around the wood like a Trophy Trail, face painting and much more! The parade is running all summer until Wednesday September 5th, if you want to join in the fun then head to BeWILDerwood and get to the Storytelling Stage for 2pm! « Celebrate Sooty’s 70th Birthday at the North Pier Theatre in Blackpool on July 21st!